MacBook is a largely preferred Apple device and most people around the globe own it. In addition to offering unparalleled performance, MacBook is a stylish, compact device that can be carried everywhere. Due to its portability, the device can be used for work purposes while on the move. 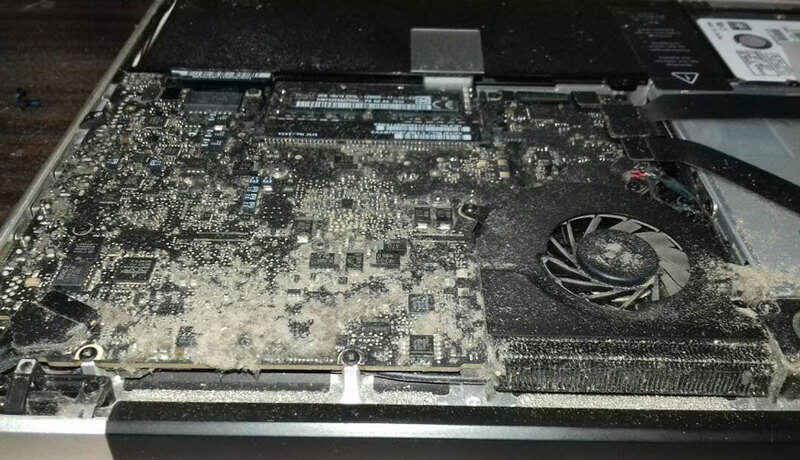 Although it is brilliant in several ways, MacBook should be maintained on a regular basis to keep performing well. Do not wait until your device has severe damage to look for MacBook repair Thane services. Instead, learn how to troubleshoot it by yourself and how to spot problems that need a superior repair skills. The device is advanced in terms of craftsmanship and efficiency when working, but it is also sensitive. A tiny fault can affect how well it processes work and you don’t want this to happen when you are carrying out a serious project. So, get in touch with a Thane-based technician who can always troubleshoot and maintain your device in exchange for a small fee. RAM – This machine loves more and more RAM. So if yours needs an upgrade, the technician will install the maximum amount it can handle or what your budget can allow for now. Free up startup disk space –Mac utilizes a lot of Virtual Memory and this requires a lot of free disk space on the startup disk. As a result, if the technician finds out that the startup disk is almost full, he or she will automatically know this is the main cause of poor performance. Using his matchless computer maintenance skills, the repairer will do what it takes to free up disk space and boost performance. Turn off some effects –Even though some Apple applications make the device more entertaining and stylish, they do minimize level of performance. So your technician might decide to turn off these features to help the machine get speedier. For instance, they might disable window effects, stop the animated desktop background, skip iTunes visuals, and close nonessential dashboard widgets and so on. If the performance of the MacBook is greatly reduced, the repairer might disable the automatic protection features of utilities. These utilities are always monitoring the system for performance, viruses or automated data recovery and use processor cycles. If performance boost is more critical, these features can be turned off. At the same time, unneeded fonts can be disabled to increase the machine’s speed when working. There are several fonts by default, and can largely degrade the device’s efficiency. The MacBook repair Thane technician might install a third party font management application to help you create, enable and disable fonts when needed. A repair task cannot end without the person checking the processor performance setting to make sure the processor speed is okay. They may also run maintenance scripts and show you how to do the same to maintain excellent service from your device.